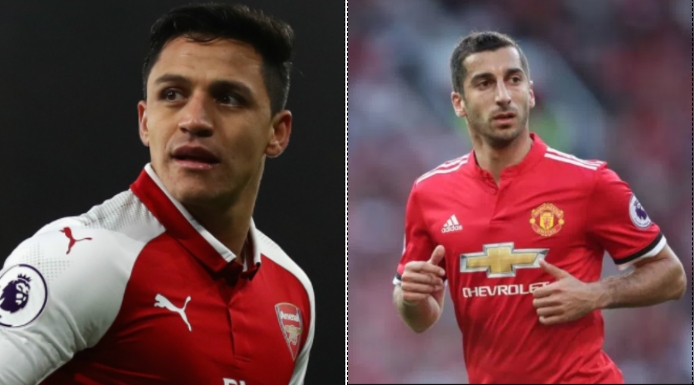 There is a possibility of an announcement of Sanchez/Mkhitaryan swap after the Stoke game or latest Tuesday, according to the report. A respected Chilean Media have made some extraordinary claims about the Alexis Sanchez transfer saga. Emol a Chilean media outlet claimed a deal has been reached between Arsenal, Manchester United and Sanchez. The deal £25m plus Henrikh Mkhitaryan. In what seems to underline Man United determination to get their man is the offer of £350k per week, which will make him the best paid in the Premiership. Arsenal Transfer Talks: Malcom, Aubameyang, Henrikh Mkhitaryan and Richarlison. What is left, according to the report is for Henrikh Mkhitaryan to agree to move to Arsenal, it is believed the Armenian is reluctant but his exclusion in the Monday night game against Stoke indicates a fast-moving situation, so much so that there is a possibility of an announcement of Sanchez/Mkhitaryan swap after the Stoke game or latest Tuesday, according to the report. Alexis Sanchez determination to leave Arsenal at all cost this January has seen him become subject of a bidding war between the two Manchester clubs. Wenger said his Press conference after the loss at Bournemouth that he does not know which way it will end, but if Sanchez leaves, Arsenal would respond by replacing him. It is believed that Bordeaux’s Malcom and Borussia Dortmund’s Aubameyang are also likely arrivals.